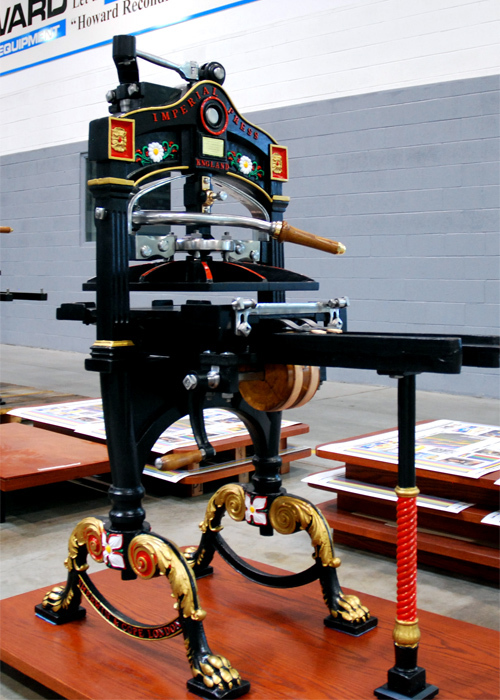 Not long after Richard Cope constructed the hugely successful Albion press, another firm Sherwin & Cope of Cumberland Place, Curtain Road, Shoreditch, London, manufactured a rather unique press of some similarity. 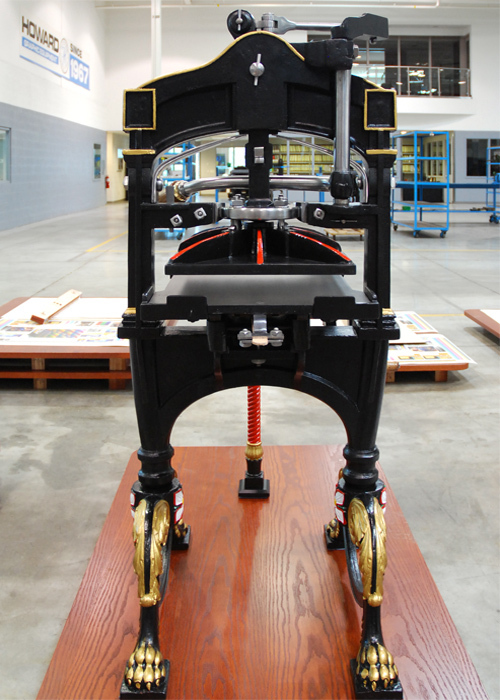 Instead of a spring or counterweight, the Imperial used flat springs to return the platen to its upright position. 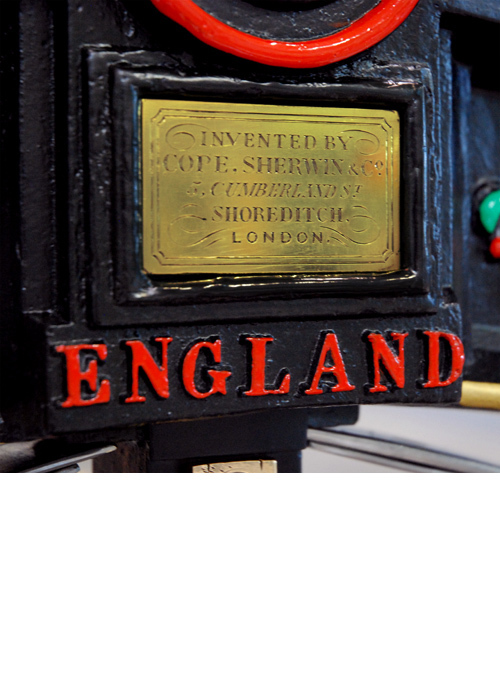 This caused considerable annoyance to John Hopkinson, the current owner and improver of the Albion, as Hopkinson suggested it was he who had thought of the idea. 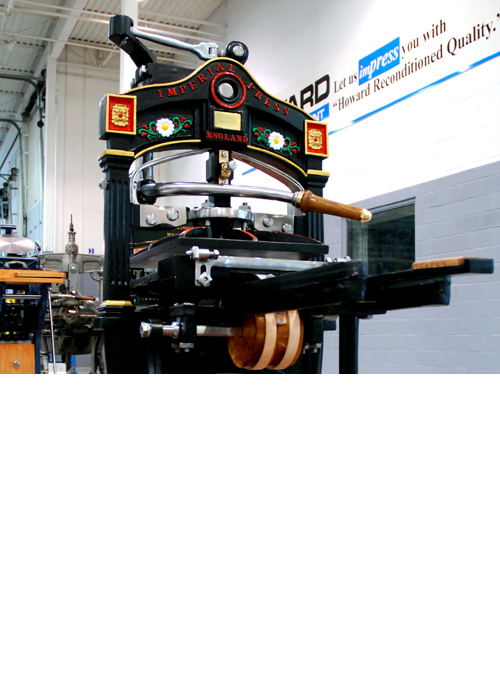 First constructed in about 1828, Imperial presses were manufactured up to the later part of the 19th century. 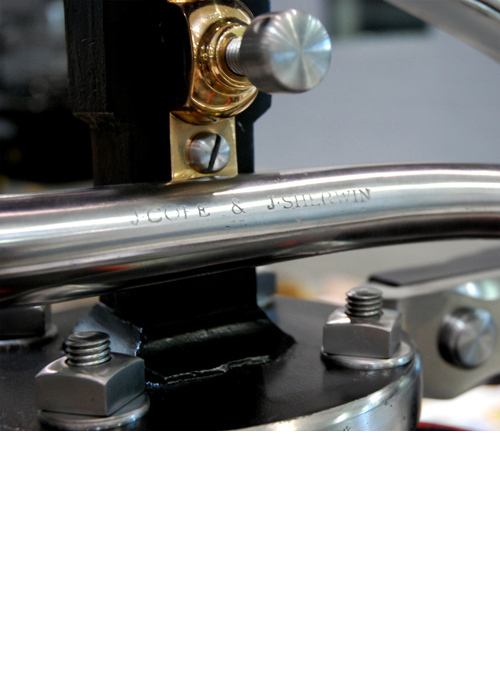 Perhaps, it is also possible that J. 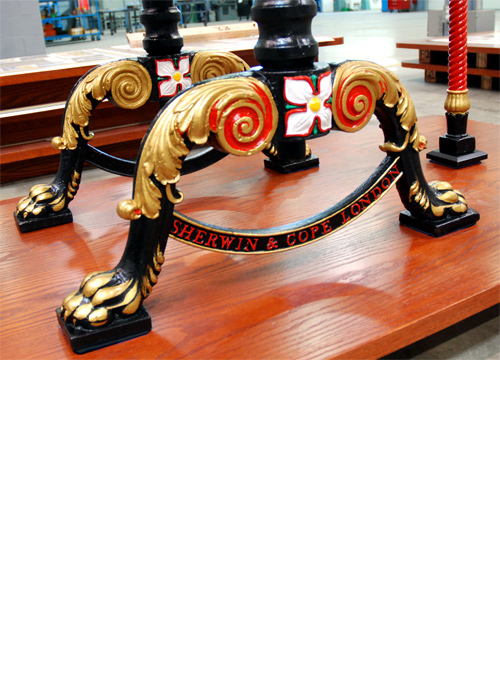 Cope, of Cope.Sherwin & Co., was related to Richard Cope, but the history is not clear. 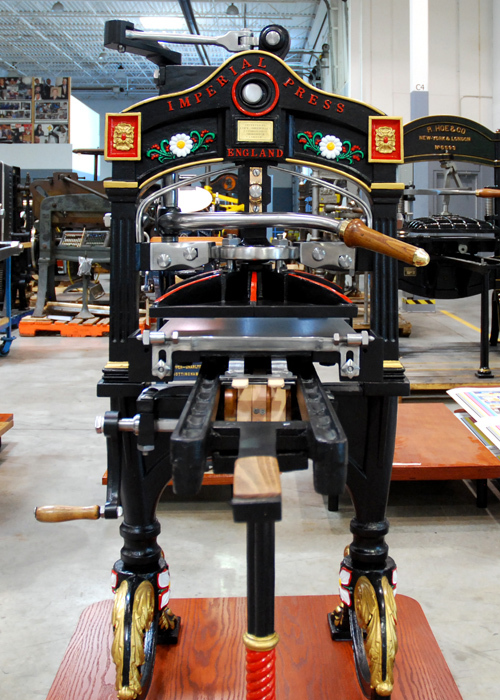 In any event, the Imperial went on to some reasonable success as not only a printing press but also an arming or blocking press. 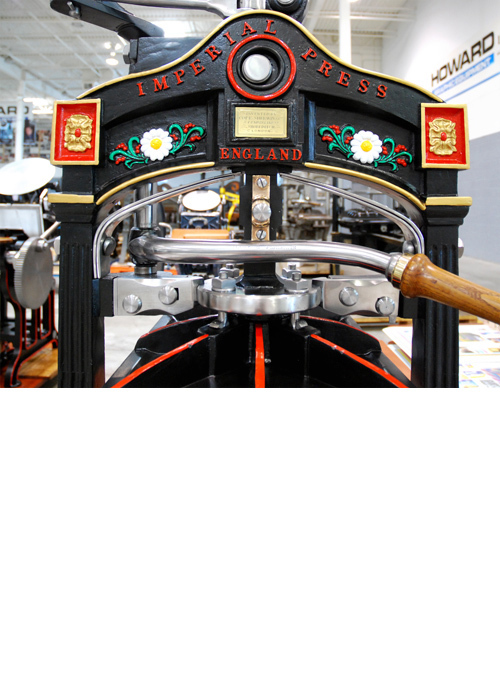 These terms are English and refer to a machine used for hot foil stamping and embossing. Varieties of both in various sizes still exist today. 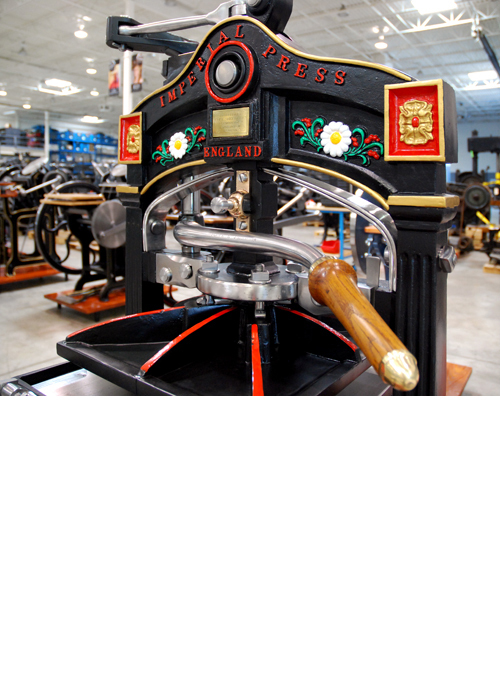 Our example is splendidly endowed with ornamental flora on its main frame. 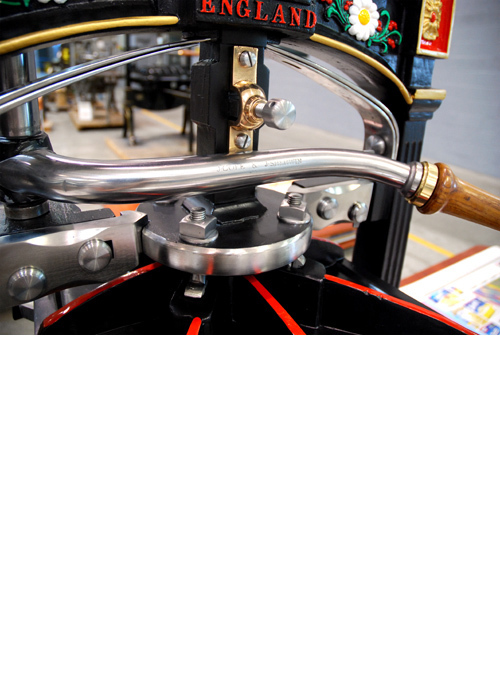 The original leaf springs were restored and used as was most of the hardware and wood handle.